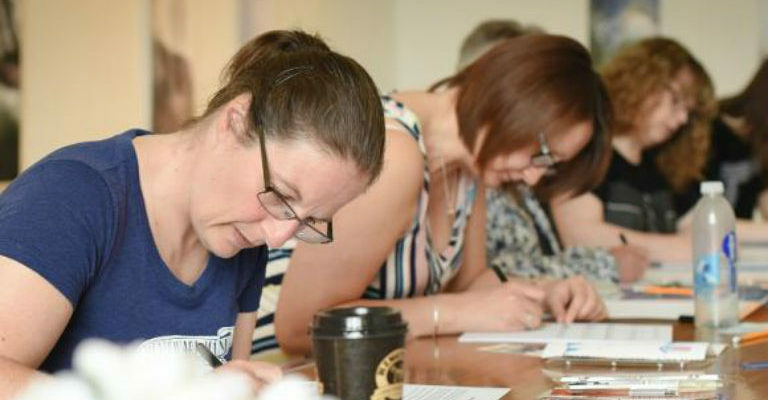 Angela Reed of Creative Calligraphy will host this engaging and expressive workshop in the Black Gate at Newcastle Castle. Calligraphy comes from the Greek kallos (beauty) and graphe (writing) and has been used through the ages to herald and record important events. The session will be taking inspiration from the medieval period of the Castle’s history and delving into some uncial script used by the scribes at the time. Tickets are £30 per person, plus booking fee including materials and refreshments. They will go on sale on Friday 23rd Feburary at 12 noon. This second floor of the Black Gate, where this event takes place, is accessible via a lift, and has disabled toilet facilities.